Heather Triggs is a Licensed Professional Counselor. She has Master’s and Specialist degrees in Counseling from University of West Georgia. Heather has over twenty years’ experience in aiding individuals as they realize their own worth and dignity, and work through a myriad of personal struggles. She has worked in a variety of settings including mental health clinics, churches, and schools. 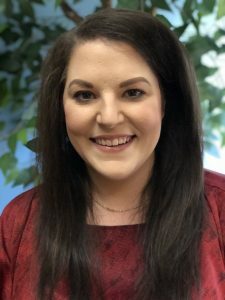 Heather has taught classes in church and school settings on adolescent development, use of social media, parenting, and preventing child sexual abuse. She is a compassionate counselor who believes that a trusting relationship is essential to real growth and change. 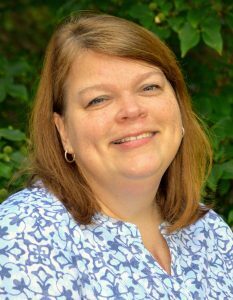 Christian Counseling: Heather also holds a Master’s degree in Theological Studies, and that combined with her own Christian faith, informs her counseling with compassion, deep respect for the other, acceptance, and belief in the dignity of each person. She has a deep passion for spiritual, as well as psychological, growth. Heather will respect your faith beliefs and traditions. If you wish to bring your faith into counseling, it can be included as you wish, to minister to your heart and soul as you face your challenges. I am a seasoned licensed professional counselor with a broad-base of life experiences helping people WITHOUT JUDGING them. I use strength-based approaches for this purpose. My areas of specialization include working with survivors of emotional mistreatment from people with narcissistic personality disorder. I also work with males by using therapeutic manhood development techniques. The purpose is to help young men make a smooth transition from adolescence to adulthood so that they become well-rounded, successful adults. My counseling sessions are often fun and up-lifting and provide supportive healing in a safe and comfortable space. My goal is to provide each client with a nurturing environment that allows them to develop better confidence, self-assurance, and improved understanding of who they are. I have over 30 years of experience working with behavioral interventions, health promotion, training, education, and research. Having attended West Virginia, Howard, & Georgia State Universities, I have earned an advanced degree in psychology. I use cognitive-behavioral strategies to develop sustainable change. This intervention approach is designed to empower individuals, couples, and families. As an intensively trained DBT therapist specializing in addiction/recovery, I use a collaborative approach with clients to help them in building the life they want to live. As a performance coach and certified personal trainer, I assist an array of clients to achieve fitness, health and lifestyle goals by identifying how emotions directly impact their health, fitness and overall wellness. In teaching skills to both groups, I help clients to develop their own concrete plan to overcome the emotional and physical obstacles they grapple with and to move forward to achieve their goals. I help clients focus on skills which promote change through effective choices. I assist in managing recovery from addiction, impulsivity, codependency, depression/anxiety and grief/PTSD. I use techniques which support a healthier lifestyle, improve fitness and promote overall emotional - physical wellness. My focus is on my clients; my priority is collaborating with each so they reach their goals. I have over 20 years of professional experience in mental health and addiction/recovery. I work individually with young adults, adults, families and couples. 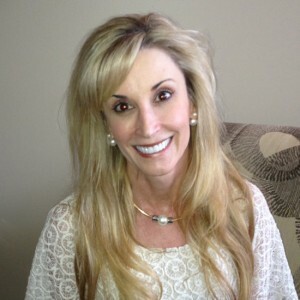 Angie Sumrall is a licensed professional counselor. She holds a master’s degree in mental health counseling from Trinity International University. As a therapist and life coach, Angie is passionate about seeing individuals, couples, and families move toward freedom, wholeness, and reconciliation. She is a compassionate professional with 15 years’ experience working with individuals, groups, couples, and adolescents in a variety of contexts, both here and abroad. Angie specializes in relational issues and emotion management. She is skilled at helping people understand, identify, regulate, and appreciate their emotions and the role they play in relating to others. 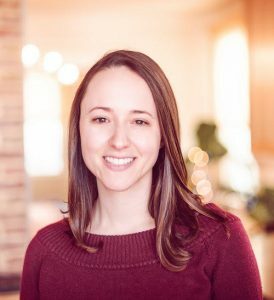 Using methods from emotionally focused therapy, attachment theory, and family systems therapy, Angie works with couples and families toward healing, reconciliation, and hope. Be it anxiety, anger, depression, shame, stress, or any of the emotions that can make us feel out of control or stuck, Angie helps you move out of hiding and addiction that we use to manage emotions and into freedom. Angie is certified as a Prepare and Enrich pre-marriage facilitator, and combines the tools and assessments of that program with clinical knowledge and counseling skills to prepare couples for a healthy and thriving marriage. Whether adjusting to a new life phase, recovering from the pain of divorce or trauma, or other forms of loss or grief, Angie walks with you through this difficult experience with the belief that we cannot fully live until we fully grieve our losses and painful experiences, so that we can find healing to move forward. Angie will respect your beliefs and give you the freedom to incorporate your faith into sessions, and determine to what extent. Her theological training and her own faith journey have equipped Angie to provide counseling designed to minister to the soul and lead clients to grow in spiritual maturity. Angie will help you assess where you are versus where you want to be and create achievable, action-oriented goals to help you move toward balance and wholeness by creating a life plan that will address improvements in your career, relationships, health, finances, and spiritual life. Enjoying more than 25 years in the human services profession, Dr. Timothy Giannoni has acquired a diverse professional and educational background. 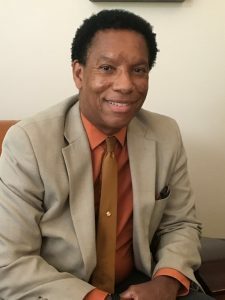 Possessing advanced degrees in education, psychology, counseling and management, he has provided support to individuals in both direct service practice and in the management of counseling service organizations. Starting his career in a federally funded employment and training program in Florida serving both youth and adults, he transitioned into management and became the president of nationally recognized adolescent youth develop program serving 10,000 students per year. 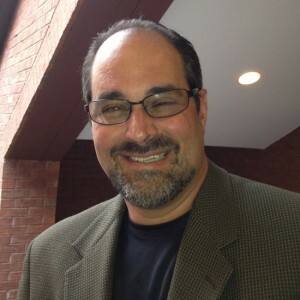 During his authorship of the Excel Program and years in organizational leadership, he completed extensive research in anxiety and depression management and correlates of effective developmental intervention. 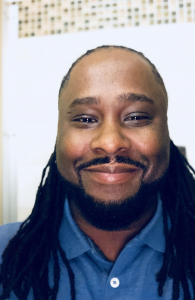 Living in North Atlanta during the past 13 years, his career path has taken him back to his first passion — individual counseling. Dr. Giannoni believes counseling relationships begin with genuine interest and concern, and are supported by an ever present focus on positive personal growth. Dr. G is a down-to-earth, light-hearted guy with an extensive resume and passion for serving others in their time of need. Watch the following clip for his personal/professional introduction. 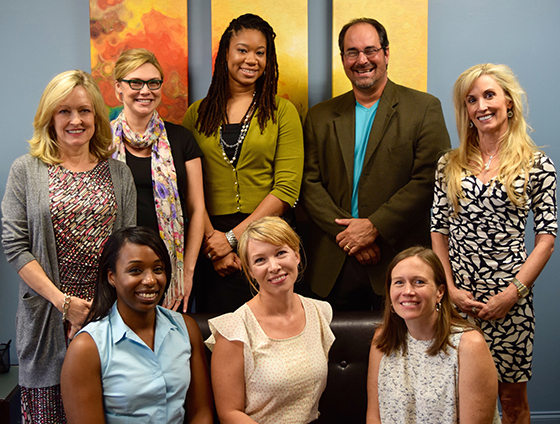 Annie Phillips is a licensed psychologist at Thriveworks Marietta. She earned her doctorate in psychology from Regent University (Virginia Beach, VA) and her bachelor’s degree from Cedarville University (Cedarville, OH). Dr. Phillips conducts and directs our Psychological Services Department and is able to assist with all testing and/or assessment needs. For scheduling for either of these services please call our dedicated Psychological Service scheduling line at (404) 951-7851. With nearly ten years of opportunities helping children, adolescents, adults, and couples, Annie endeavors to partner with her clients and help them grow and thrive. Annie’s therapeutic approach is client-centered. This means she is flexible and adapts to the style that is best for the client, bending from psychoanalytic therapy to cognitive-behavioral therapy and everything in between. Annie’s primary goals in treatment are to help clients gain comfort in the therapy room and to empower clients to achieve their goals. She is also committed to empathetic understanding of all people, genuineness, and unconditional positive regard for all walks of life. Annie has experience helping with the following issues: depressive disorders, anxiety disorders, behavioral disorders, conduct disorders, attention-deficit hyperactivity disorder, parent-child relationship issues, phase of life issues, and relationship struggles. She has experience helping families with young children and adults alike. 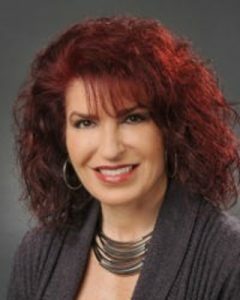 The experience with the lifespan allows Annie to connect with a variety of clients with knowledge and on a genuine level. Annie is also able to conduct psychological assessments, including cognitive/intellectual, emotional, and behavioral functioning, as well as to advise treatment planning and make therapeutic recommendations. 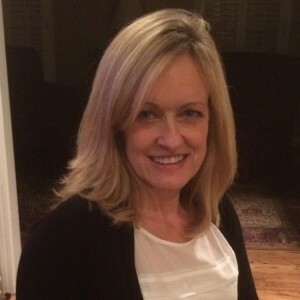 Beth is a member of the National Board of Certified Counselors, the American Counseling Association and the Licensed Professional Counseling Association of Georgia (License #006243). Salim Nadir is a Certified Life Coach (CLC) who specializes in empowering individuals to tackle life’s challenges by establishing and implementing action steps to positively impact their futures. Salim uses his humor, compassion and direct nature to help his clients make choices from a place of optimism instead of fear. He ultimately believes we have each been created with a unique purpose, to share our God-given gifts with the world. Salim has spent the last 20 years serving in the areas of business development, ministry, health and wellness and psychology. He has successfully held diverse roles such as Strategic Marketing Director, Director of Ministry Operations, Clinical Program Manager, and General Manager of Personal Training to name a few. Salim graduated from Lehigh University with a BA in Social Psychology and Sociology and successfully completed a year at Emory University’s Executive MBA program. He is a recognized member of the International Coaching Science Research Federation (ICF), an active member of his church in Atlanta, GA and a fervently committed Philadelphia Eagles fan. Shira Concool, MA, LPC, NCC (she/her/hers) helps clients navigate identity issues in today’s complex world with hope and confidence. Shira uses a relational-cultural, strengths-based approach and pulls in elements of cognitive-behavioral, acceptance and commitment, and emotionally-focused therapies to help individuals and couples reach their goals. She has 5+ years of career and mental health counseling experience and has worked at both college counseling centers and in community practice. In her work at the college setting, she co-facilitated a Trans Therapy Group, as well as a group on Anger Management. Shira offers a unique perspective on how to approach life, work, and relationships with a healthy dose of humor and self-compassion. Past clients have noted that her "real" and "collaborative" style of therapy gave them the validation, support and space they needed to grow. Clinical Internship at John Jay College Counseling Center; Teaching Assistant for “Multicultural Issues in Human Services"
Suzanne Hartiganis a licensed professional counselor with Thriveworks Marietta. 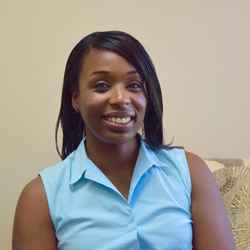 She holds a master’s degree in Community Counseling from Mercer University and a B.A. in psychology From George Mason University in Fairfax Virginia. Prior to joining Thriveworks Suzanne worked as a counselor for Catholic Charities. She implemented Therapeutic interventions for a diverse group of clients navigating stress, depression, anxiety, grief, divorce, ADHD and OCD. Since joining Thriveworks she has worked with individuals to help them stabilize relationships, enhance communication skills, manage stress, anxiety or depression, ultimately empowering them to lead more fulfilling lives. She has administered assessments and diagnostic impressions upon intake and devised treatment plans. She believes in client knowledge and empowerment through evidence based treatment protocols. Suzanne has acquired the skills of DBT & CBT to treat clients dealing with life stressors such as anxiety, depression, relationship problems, parenting issues or work related challenges. Suzanne believes that one of the core components to living a happy and fulfilled life are the quality of the relationships we hold dear. As a counselor she is experienced in working with a diverse group of clients empowering them with the tools needed to live a more fulfilling and joyful life. She specializes in women’s issues that include but are not limited to divorce, job re-entry, empty nest, addiction, parenting, grief, aging parents, post partum depression, and menopause. Suzanne is open to working with Individuals of all sexual preferences, religions and ethnicities and nationalities. Her recent experience includes providing counseling to children, adolescents and adults from different cultures, ethnicities and economic backgrounds. Vanessa’s approach to counseling focuses on human development in relational, social and cultural contexts. Vanessa is educated, personable and eager to meet goals set by clients. She is passionate about helping clients become better equipped in dealing with life’s stressors, so that they can live happier and more fulfilling lives. Keisha Brown holds a master’s degree in social work from Barry University in Miami, Florida. Prior to attending Barry University, Keisha completed her Bachelor of Arts in Human Development (with a minor in psychology) at Eckerd College. 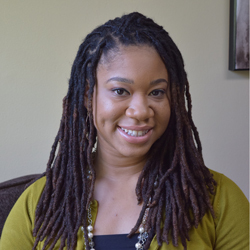 Keisha has used the techniques of DBT (dialectical behavior therapy), motivational interviewing and cognitive behavior therapy. 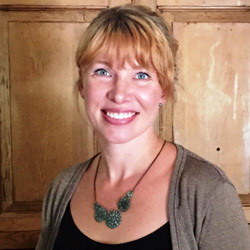 Her therapeutic approach focuses on the person-centered and empowerment-focused therapies. According to Keisha’s view of counseling, the ultimate goal is to empower each client with the tools they need to improve their quality of life and overall performance, whether it be in the work place, in athletics or in the home. During her career as an LCSW, she has provided individual, family and group counseling for children, adolescents and adults. Keisha is also a certified Substance abuse professional (SAP) and is qualified to complete DOT SAP evaluations. Children and Families have been my passion for the duration of my professional career. Specializing in services to Kindergarten to 8th grade, I utilize strength-based supportive counseling approach to overcome challenges within and outside the family system. 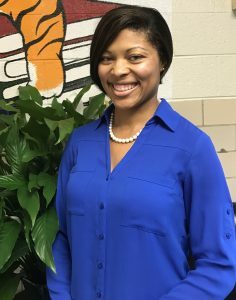 As a current Certified School Counselor working at a progressive and diverse elementary school and a past Developmental Leadership Program Director serving all major School Districts in Atlanta, I understand the unique nature of individual school culture that supports and sometimes challenges children. I provide non-school-based supportive counseling services recognizing that many times school counselors do not have the time to provide one-on-one support that is needed. My therapeutic belief is that all parents want the best for their children and all children desire the opportunity to be happy/healthy in the environments in which they function. My therapy sessions are interactive and often involve play therapy and/or unique age-appropriate interactive engagement. It is my goal to create a “supportive & enjoyable” therapeutic environment for both children and families to explore change. Private Pay Service: Sorry not taking private insurance at this time.